Beautiful book! Some really great full color pictures full of emotion that grabs your heart. Stories are confirmation again that our dogs are man's and woman's best friend; indeed, companion, but so much more. Managing the urge not to acknowledge and pet a working K9, whether law enforcement or guide dog, is going to be that much more difficult now--they evoke ever more respect. And the people who groom the puppies, trainers, and persons involved in their service are true co-heroes. Powerful book! I just loved this book and could hardly put it down. Lot's of very good personalized stories by the people who are partners with their dogs. The author explains how the partnership bond is at work in these true life accounts. As a matter of full disclosure, the author is my lovely wife. “Author DeeAnn 'Nan' Walton has 18 years of experience in search and rescue, forensic crime scene recovery, narcotics detection, and therapy dogs so she brings a unique understanding of dog behaviour to Partners. “IT'S WELL known that the British are a nation of dog lovers – and so, it seems, are the Americans. 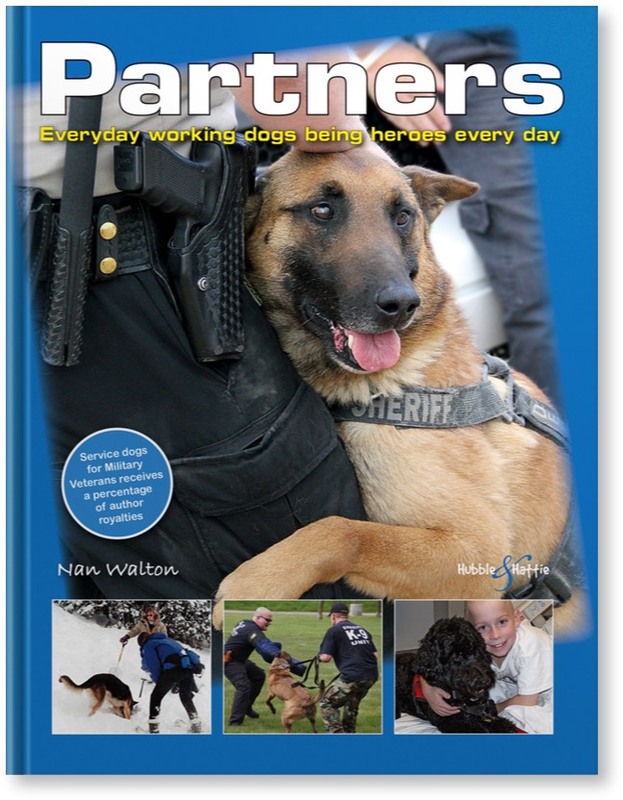 Partners by Nan Walton features stories from five working US disciplines – SAR, the Police, scent-detection partners, therapy partners and guide dogs. This absorbing hardback includes 25 true stories from professional canine handlers and comparisons between disciplines based on work, not breed.